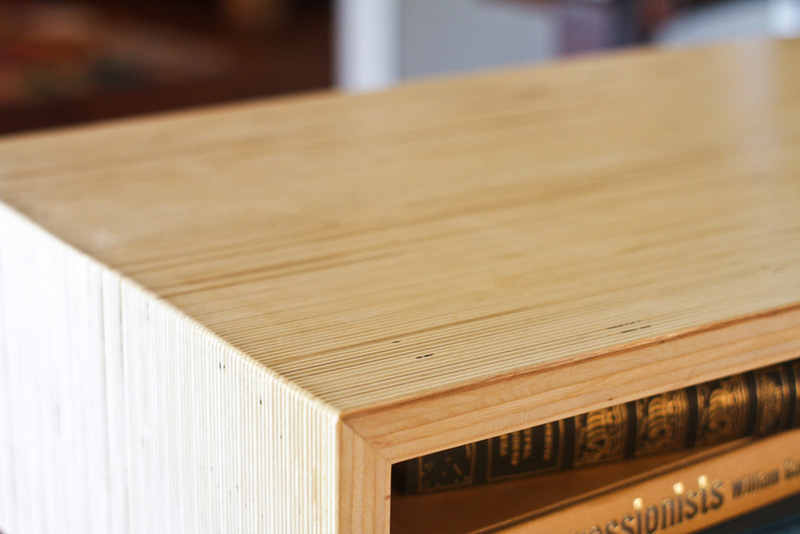 The Stereo TV stand is made from Birch plywood and Mahogany. The plywood is turned on it's edge and layered many times to create a unique striped pattern along all the surfaces. 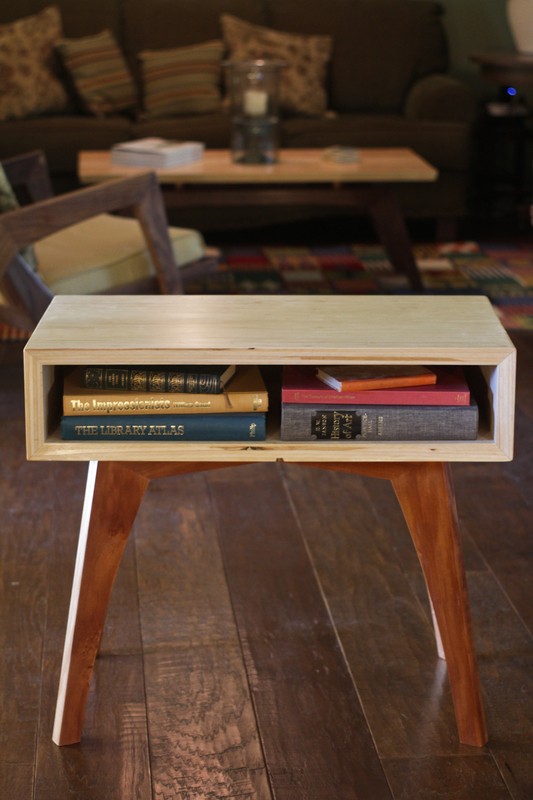 The table features a simple box design that creates versatility and allows the piece to be used in many different ways.